Students and staff on university business can travel free on the campus buses. But your LiU-card must be valid. On Campus Bus line 73, students and staff on university business can travel free. 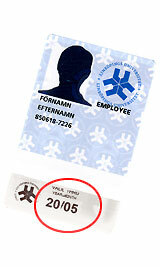 But you must have a valid LiU-card - up-to-date and with a very legible expiry date. Always pass your card through the LiU-card reader on the bus. If you are travelling with a temporary card you must be able to show photo ID. The campus buses will not operate between 19 June and 16 August. The buses will operate as normal starting 17 August.